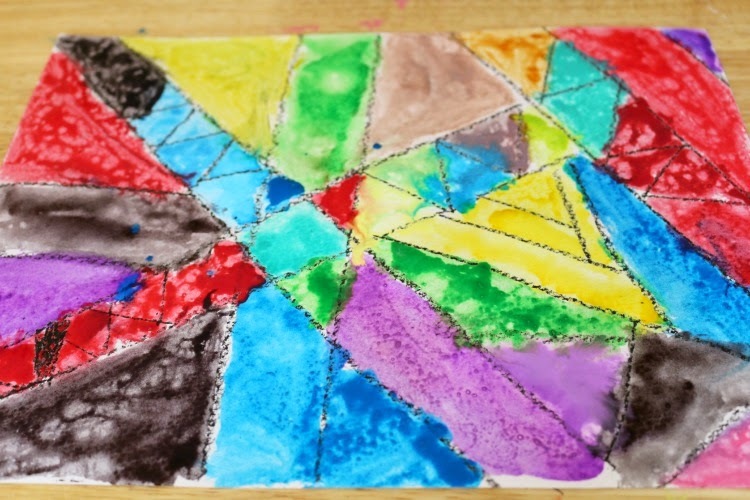 My son and I did this Watercolor Line Art activity over the summer; it was a great way to share some one-on-one time while having fun exploring a fun paint medium and a way to sneak in some math concepts. Simply use the ruler to draw lines-- parallel lines, diagonal lines, vertical lines, horizontal lines, perpendicular lines, short lines, long lines, etc. etc.-- all over the paper. 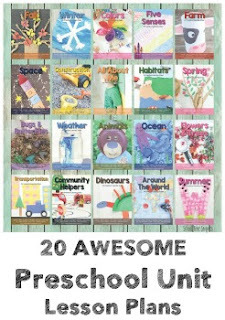 We just drew lines wherever we chose, but this activity would also be neat with specific tasks, i.e. draw a line 5 inches, draw a vertical line,... and see what design you come up with! 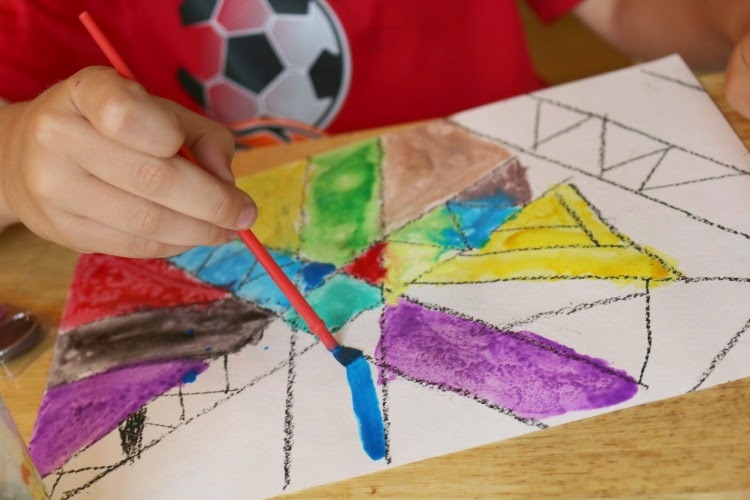 Use a black crayon that is fairly "waxy" to create a watercolor resist. 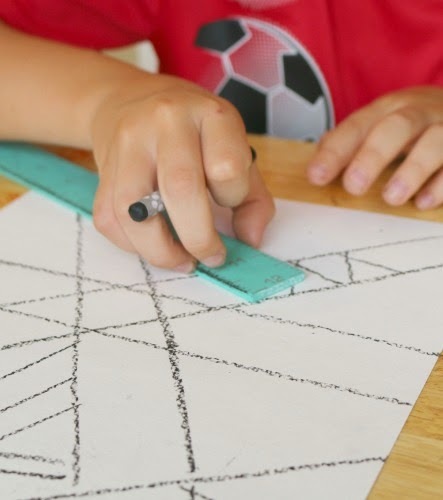 Also, encourage your student to push a little bit harder than normal while drawing the lines so that they are darker. 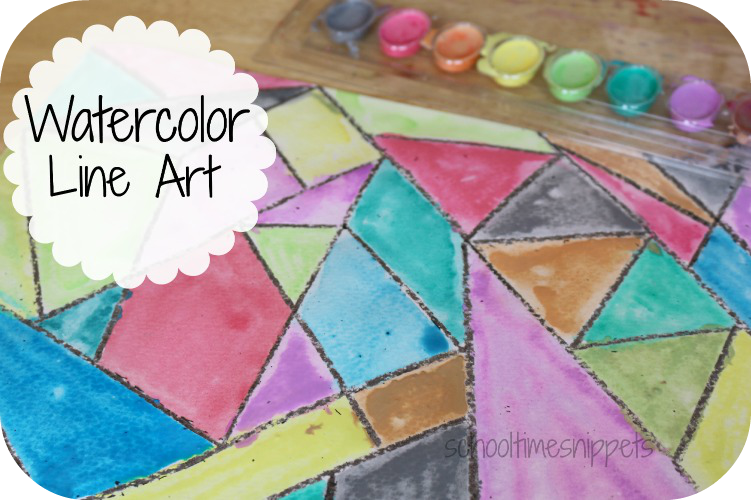 Once your design is finished, start adding watercolor paint. 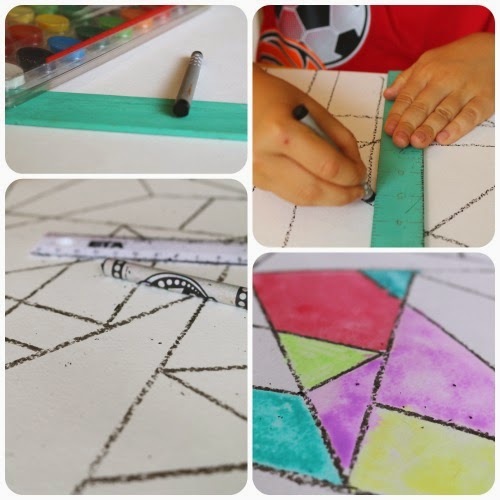 Thus, this simple art/ math project creates a beautiful and creative piece of art!